For live music fans and foodies in search of the best authentic bar-b-que, there are myriad ways to whet your appetite in Georgia. From Augusta, home of the great James Brown, to the indie rock capital of Athens, we explore the best places to catch a show and sample some of the best smokin’ bar-b-que in the country. Georgia’s capital city has always been famous for its blues music and bar-b-que joints. If you’re in Atlanta, there are more bar-b-que possibilities than there are songs on a jukebox. The world famous Fox Bros. BBQ is known for its ribs and brisket, but what really sets the restaurant apart from the competition is oddball menu items like Frito Pie. Brothers Jonathan and Justin Fox imported this curious concoction, which features spicy, beanless chili atop a bed of Fritos corn chips, from their upbringing in Texas. The dish is one of the most popular items on the menu. The Vinings neighborhood is home to Heirloom Market, one of Georgia’s most unique bar-b-que restaurants. The brainchild of Cody Taylor and Jiyeon Lee, a husband-and-wife team from Eastern Tennessee and Korea, Heirloom Market melds elements from each, resulting in a contrast of styles sure to satisfy even the most serious bar-b-que palates. 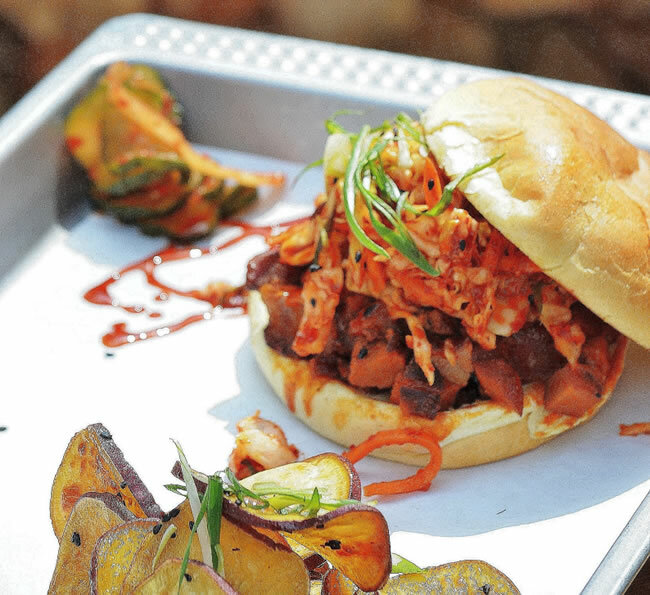 Try the Korean pork sandwich topped with kimchi slaw, and seasoned with gochujang. Although Heirloom offers the traditional staple side dishes like mac and cheese and collard greens, be adventurous and sample the cucumber and radish salad. Don’t forget to take home a house made banana pudding or two. Or three. Finding good music in Atlanta is simply a matter of tastes, since you can find amazing live music wherever you are. 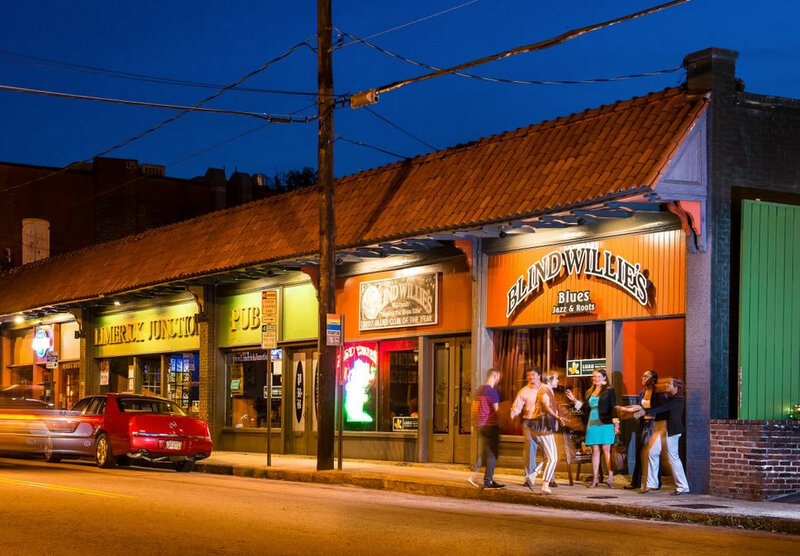 The beloved Northside Tavern in Atlanta’s hip Westside neighborhood consistently finds itself on top 10 lists of the best dive bars by the likes of Complex and Thrillist. The tiny, mural-covered building is in sharp contrast to the high rises that surround it. Northside Tavern features a regular lineup of local blues acts seven nights a week, including Mudcat, Uncle Sugar and The Breeze Kings. The drinks, served in plastic cups, are strong, and it’s a great place for people watching. 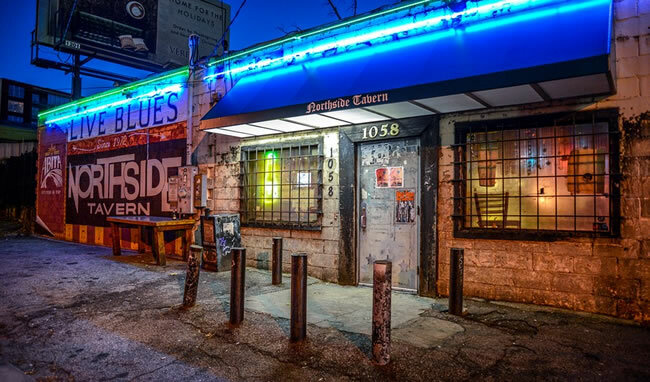 To get your blues and bar-b-que in one place, try Fatt Matt’s Rib Shack for lip-smacking ribs, cheap beer and a set of live blues which, if you’re lucky, could mean Atlanta blues pioneers like pianist Eddie Tigner or Beverly “Guitar” Watkins. At Blind Willie’s in the trendy Virginia Highlands, you’ll find the Electromatics, Sandra Hall, Sweet Betty and the house band, The Shadows, always ready to deliver a good time. Blind Willie’s has a selection of more than 14 whiskies on hand. In Columbus, Ga., there’s plenty of musical history to explore, starting with legend Blind Willie McTell, the namesake for Blind Willie’s in Atlanta. Although he never produced a major hit, McTell had a storied recording career with various labels in the 1920s and 1930s, sometimes recording under different monikers. In 1940, he had a recording introduced into the folk song archive in the Library of Congress. Blues aficionados can check out the Blind Willie McTell historic marker and pay their respect at his gravesite located in the historic Jones Grove Baptist Church Cemetery. The Ma Rainey House and Blues Museum in Columbus is an important stop. Known as the “Mother of the Blues,” Gertrude (Ma) Rainey lived in this home after she retired from recording and touring in vaudeville and minstrel shows. Rainey was considered a pioneer, with a musical style that incorporated various styles of blues and jazz. She is buried in Porterdale Cemetery, near the Ma Rainey House. Columbus is also known for the family-owned Chester’s Barbeque, which boasts two locations (547 Veterans Parkway and 209 Northstar Drive) in Columbus. Chester’s is best known for its tender chipped BBQ sandwich. By night, Columbus’ downtown district (the locals call it “uptown”) bustles, and depending on the night, you’re likely to find a blues or blues-rock band play at venues such as The Loft or Bellos’s Martini and Cigar Bar. Augusta is the hometown of the late, great James Brown, and the area’s rich musical history has helped to cement its spot on the musical map. In February 2016, The James Brown Family Historical Tour , began daily tours that take place Saturdays from 11:00 a.m. to 12:45 p.m. A 25-passanger temperature controlled bus takes guests on a narrated tour, stopping at places that are significant to the history of Mr. Brown’s life. The tour costs $15 per person and includes admission to the Augusta Museum of History, home to the largest collection of James Brown memorabilia. For an extra fee you can have the tour narrated by Deanna Brown Thomas, daughter of James Brown. Augusta’s thriving live music scene includes Sky City, Still Water Tap Room, The Playground, Metro and the historic Imperial Theatre. 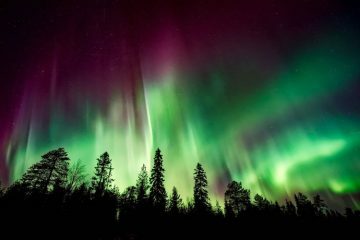 Augusta is also home to ongoing Garden City Jazz concerts on the Savannah River, Tuesday Music Live concerts at the historic Saint Paul Episcopal Church, Parade of Quartets – a 60-year television tradition – and the annual Southern Soul & Song concert series presented by the Morris Museum of Art. There’s even a Moonlight Music Cruise, with musicians performing on a 49-passenger Petersburg boat as it floats down the Augusta Canal. Augusta is home to the family-owned Sconyers Bar-B-Que, which is known for its old fashioned, oak and hickory pit-cooked bar-b-que. 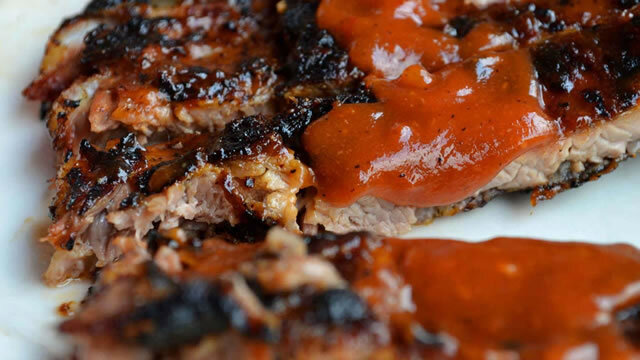 Sconyers Bar-B-Que was founded in 1956 by Claude and Adeline Sconyers, who gave up farming and opened the restaurant based on their favorite hobby: concocting bar-b-que sauces and making homestyle ribs, pulled pork and more. Over the years, Sconyers Bar-B-Que has been served on the White House lawn for President Jimmy Carter and at Georgia’s state capitol. Sconyers is known for its generous portions, so be prepared to come with an appetite. Annual music-centric festivals in Augusta include events like Papa Joe’s BanjoBQue Music Festival, which is held every Memorial Day. The 2016 event features Willie Nelson & Family and Old Crow Medicine Show Other festivals include the sprawling Arts In the Heart of Augusta Festival and Rock Fore Dough, a benefit concert held each year during Masters Week. In yet another nod to Blind Willie McTell, the tiny city of Thomson, Georgia, a short ride from Augusta, pays tribute to one of its native sons every year with the Blind Willie McTell Blues Festival, held each May. 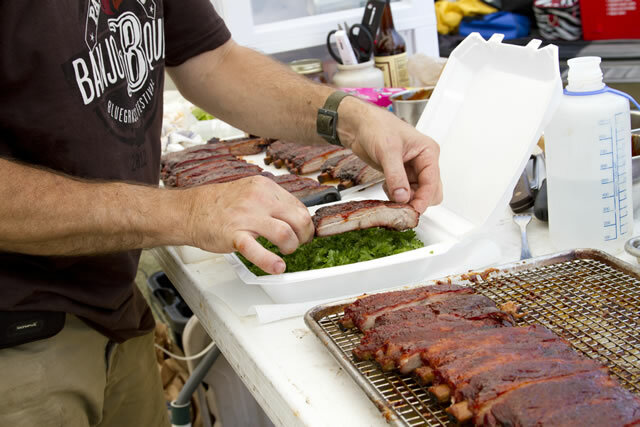 Local vendors and food trucks on site keep festival attendees stuffed with bar-b-que, ribs, fried fish, pork rinds and other traditional Southern fare. Athens is known as one of the top college towns in the country and has an amazing pedigree when it comes to indie rock (bands from R.E.M. to The B-52s have their original roots in Athens). Athens is home to dozens of venues, including two of the Top 40 Music Venues in America, according to Paste Magazine. The legendary 40-Watt Club has hosted everyone from Athens natives R.E.M. and The B-52’s to alternative bands such as Nirvana and Sonic Youth. The Caledonia Lounge and the Georgia Theatre are other amazing music venues that have been joined by newer venues such as The Green Room, The World Famous and The Hi-Lo, located in the hip Normaltown district. Athens-based Pulaski Heights BBQ, located in The Leathers Building, is run by Chef Chuck Ramsay. Chef Ramsay cut his teeth at Hugh Acheson’s restaurant 5&10. Known for its smoked meats and creative side dishes such as smoked tofu and vinegar wine slaw. The Tudor style house at 2321 Vineville Avenue in Macon is a famous address. In 1969, members of The Allman Brothers Band rented the house, which would soon became a home to members of the band, roadies, family members and friends. In the early years, as the band was crafting its sound – and pioneering the southern rock genre – the house became a place for collaboration and gatherings. Nicknamed “The Big House,” the home is now a museum dedicated to the history of one of classic rock’s most defining acts. 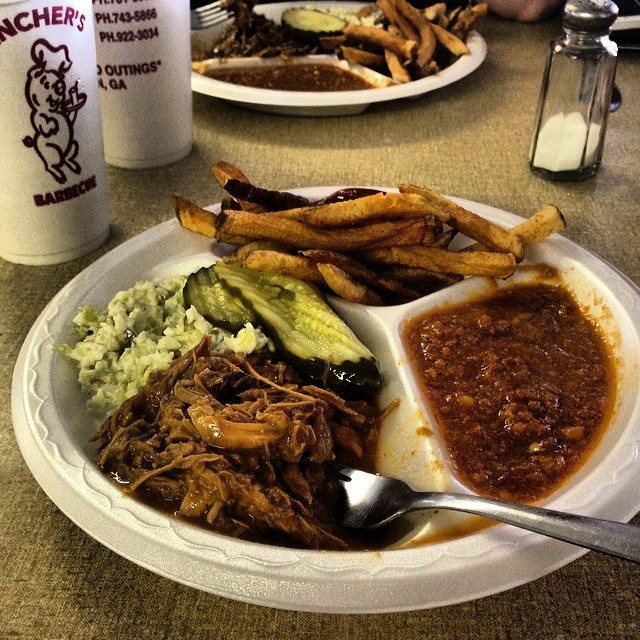 Family-owned Fincher’s BBQ was named one of the top 25 bar-b-que restaurants in the American South by Huffington Post, and with good reason. The original restaurant on Houston Avenue has been in operation for more than 75 years. Fincher’s bar-b-que is out of this world. No, really. It is the only bar-b-que ever to be sent into space. 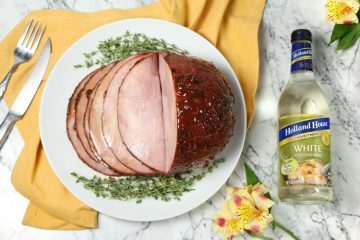 In 1989, Macon-born astronaut Sonny Carter requested that Fincher’s wood-smoked ham be included in the cargo for the NASA mission. 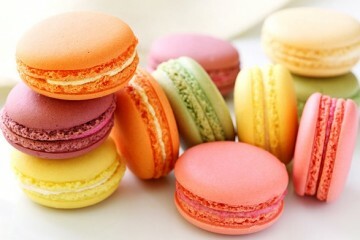 For more inspiration, visit www.exploregeorgia.org or check out Explore Georgia’s Culinary Guide at www.exploregeorgia.org/dining. 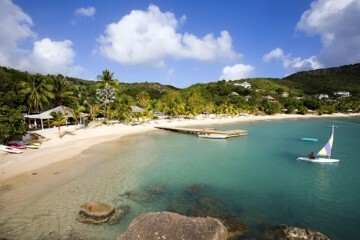 to N.E. with Mike Mills and Bill Berry.